Public Libraries 2030 is hiring! We’re looking for a full-time intern to join our team for a period of 6 months. You’ll be working on specific projects – in particular delivery of PL2030’s flagship event Generation Code: Born at the Library taking place at the European Parliament – but there will also be plenty of opportunities to work on other aspects of events and communications. We’re looking for someone who is driven by democratic values and is motivated to explore how Europe’s 65,000 libraries can help to solve big societal challenges. You’ll need to be proactive, flexible and organised. Working with a small team of two means you’ll be able to get stuck in to various aspects of PL2030’s work and quickly gain responsibility. 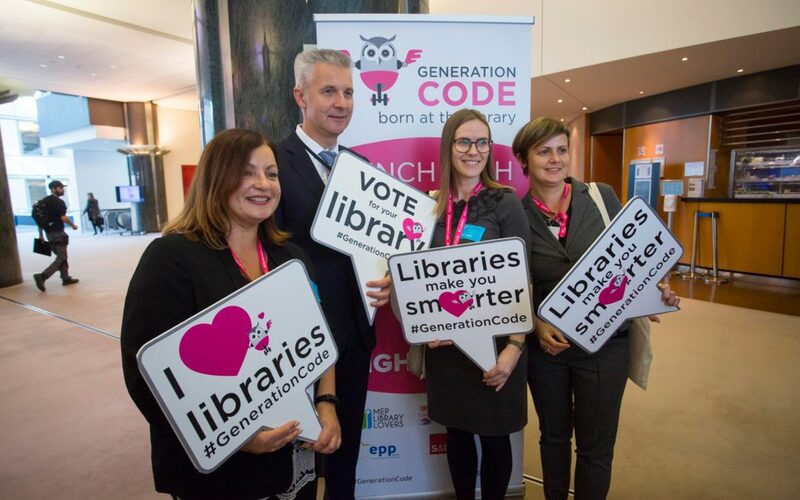 Support organisation and delivery of PL2030’s annual flagship event Generation Code: Born at the Library taking place at the European Parliament during EU Code Week. Help to develop the PL2030 communications strategy, designing communication activities and materials and eventually running the PL2030 social media channels (Facebook, Twitter and LinkedIn) and website(s). General support to the team on a variety of projects, research and admin. Academic background in a relevant field. Good understanding of EU institutions and decision-making processes. Strong organisational skills particularly in relation to organising events. Familiarity with social media and WordPress and a flair for producing engaging posts. Ability to juggle different activities, prioritise and adapt. Desire to learn and a can-do attitude! We are looking for someone who could start on 1st May for a 6-month period. The internship will be paid (salary tbc). Please send your CV and a 1 page motivation letter to info@pl2030.eu by close 31 March 2019.